Although I own and love quite a wide range of fragrances, these are the three that I continue to go back to. 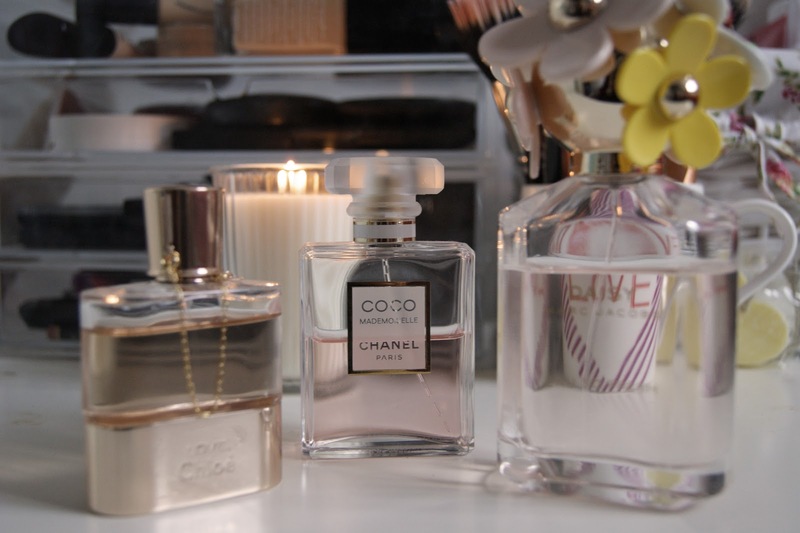 I have repurchased or been gifted these perfumes numerous times, particularly Coco Mademoiselle. Each one has a distinctive scent which reminds me of some of my favourite memories, and which I love to wear. Not surprisingly, each encompasses a combination of fruity and floral notes, but they all manage to differ from one another. 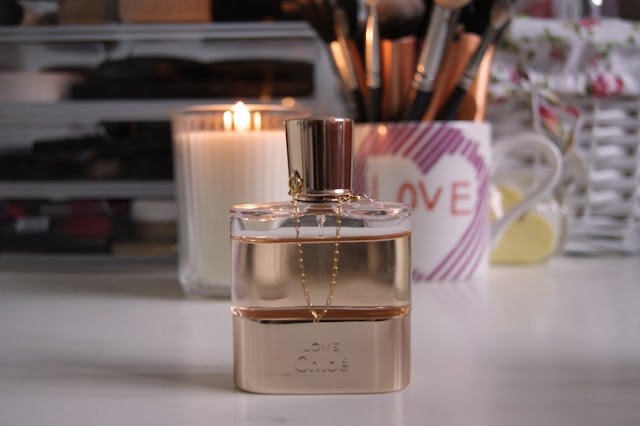 Love by Chloe is probably the most 'mature' scent in my collection. Whilst this contains a wonderful blend of floral notes (orange blossom, hyacinth, iris and lilac), it's the powdery, talc element of this perfume which most stands out to me, and seperates it from my other fragrances. Love lingers phenomenally. My mum once picked me up in a vehicle that my sister had driven earlier that day, and I managed to recognise the smell in the car. I know that I can apply a small amount of this in the morning, and it will take me right through to the night. Coco Mademoiselle is my all time favourite perfume. Whilst it also has floral elements - rose and jasmine - the main notes of this scent are much more fruity. Orange and grapefruit are perfectly complemented by bergamot (possibly my favourite smell ever), with a hint of vanilla to prevent it from becoming too sweet. 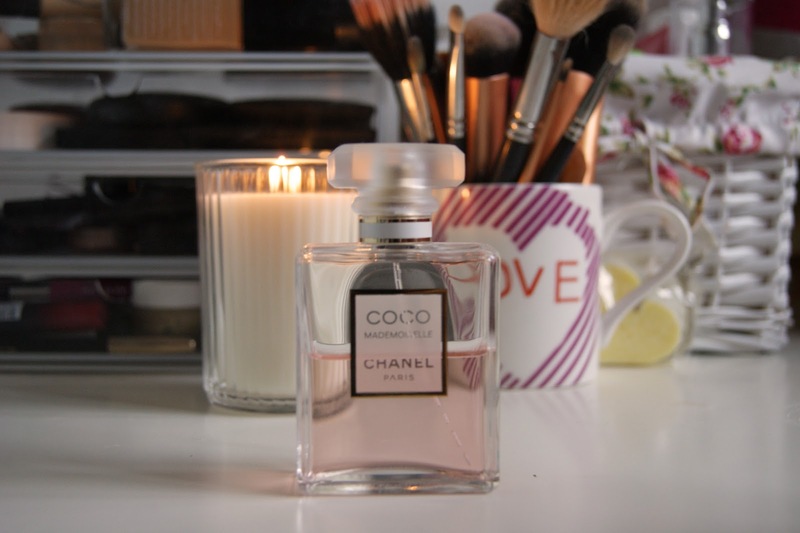 Coco Mademoiselle is an instantly recognisable classic which I will forever repurchase. I am actually a big fan of all the Marc Jacobs perfumes. I think they're easy to wear and all fit my tastes. Daisy Eau So Fresh is the one I reach for the most though. 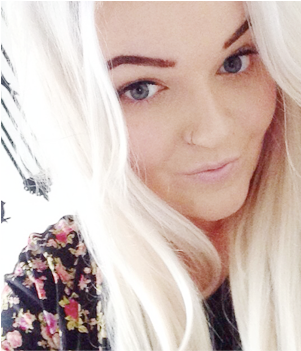 It feels so light and sweet, if anything it's sickly but in a good way. Fruits are the predomanent scent in this fragrance - grapefruit, raspberry and pear - making this perfect for Spring/Summer. What are your top three perfumes? Have you tried any of my favourites? 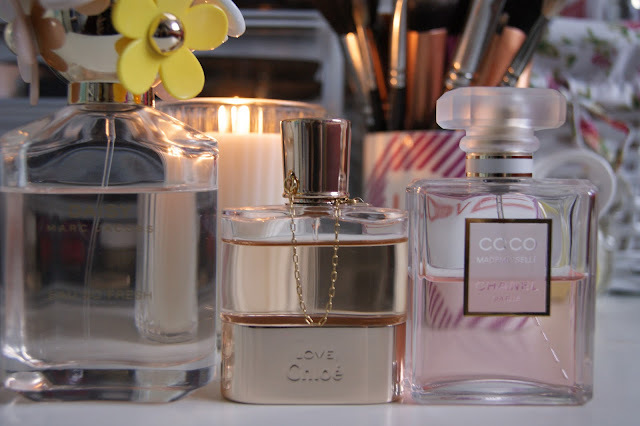 I absolutely LOVE Coco Mademoiselle and my Mum's favourite is Daisy. I love your little Cath Kidston looking basket in the background by the way (I'm nosey)! I haven't tried any of these, I like quite strong fruity scents! MAC - Turquatic, Hollister - Malaia and Britney Spears' scents are my faves. Lovely post. :) I really love L'occitane Green Tea and The Body Shop's Love Etc. And although I don't own them, also really like Viktor & Rolf Flowerbomb and Jo Malone's Nectarine Blossom and Honey. I've never tried these perfumes but I love the packaging! Deff great prefumes!I love hot by Ralph Lauren. Not sure if they make it anymore but it was to die for! I really like Love Chloe but don't own it, yet. ;) The bottle is adorable! My top 3 at the minute would probably be Diesel Loverdose, Philosophy Pure Grace & Amazing Grace. Beautiful!!!! These all smell absolutely divine. I really love Dolce & Gabbana The One and also Versaci though. I am soo fond of Daisy, it's a good scent and the bottle is as well pretty. thx for the comment, would you like to follow each other?